When you’re first starting out with Twitter, it’s pretty easy to manage the list of people you follow and the people who follow you. You can see when someone follows you and filter them immediately if they’re a bot. You can periodically audit the 100 or so people on either list without too much trouble. However, as you grow, this begins to take up more and more time. Eventually, you start looking for faster solutions. Now, one note about using tools to follow and unfollow people. Twitter doesn’t really like it. Any automation in the follow and unfollow action, either by directly clicking the button or by using API calls, can get your account sanctioned or suspended. If it’s a one-time thing, like a purge of bot followers, they’ll generally let it slide. However, if you’re automatically following and unfollowing dozens or hundreds – or thousands – of accounts on a weekly basis, it begins to look a lot like follower churn. Follower churn, or the follow/unfollow method, is generally considered to be a black hat technique trying to abuse gratitude and follow-back bots to grow a following without organic interaction. This leads to a lot of large, useless audiences, which leads to dissatisfaction with the site, which leads to lower ad spend or outright abandonment. It’s bad for Twitter all around, so they’ve done what they can to put a stop to it. So keep all that in mind while investigating and using the tools below. They generally stay on the “right side” of the law, and will caution you if you’re doing something that could get your account – or their use of the Twitter API – in trouble. Don’t follow or unfollow in bulk automatically, and you should be fine. So, what tools are out there for managing your followers and the people you follow, on a broader basis than doing it manually? I’ve found ten you can use. Crowdfire is a follower management, scheduling, and relationship monitoring engine for both Twitter and Instagram. 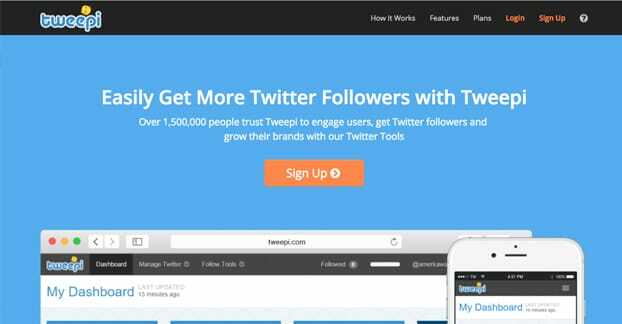 Formerly known as JustUnfollow, it has expanded in the last seven or so years since it originally came out. One of their primary follower management features is the ability to find inactive followers so you can remove them from your list, which will help increase your conversion rates and the accuracy of your analytics. They can also notify you when someone unfollows you, so you can unfollow them if you had followed them in the first place. One of the primary benefits of the app is that it’s available for both the web and for iPhones and Android devices. You can take your social dashboard with you anywhere you go. Pricing for Crowdfire starts at “free” for one linked account. You don’t get team members, your blacklist is limited, and most of the additional functions are withheld from the free plan as well. For features like unlimited follows and unfollows, larger whitelists, more accounts, or team members, you need a paid plans. These range from $4 per month to $100 per month, with the high end plans designed for agencies managing 100 or more accounts at a time. To see pricing, you need to sign in for free and go to upgrade your plan; you will be taken to this page. 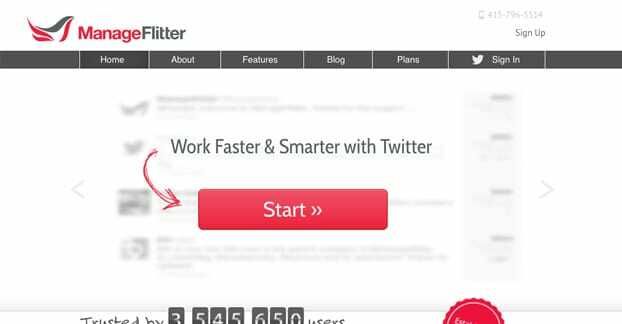 This app is a pretty robust Twitter management app that deals primarily with followers. You can sort your followers and the list of people you follow into various lists using a range of different filters. You can use their proprietary search to find new people to follow and engage. You can see who unfollows you. You can see some social media timing information, though it’s not quite as robust as the Buffer timing engine. 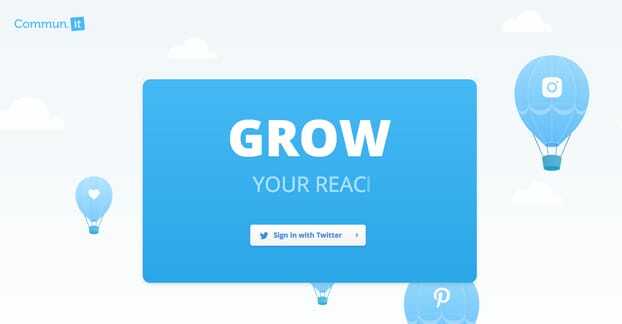 This is also one of the largest Twitter management apps out there, with over 3.5 million users. The free plan is limited, of course. They have a queue of actions and free plans have to wait more than paid plans. You get some limited access to the account growth features and you can do an account cleanup with limited unfollows each day, but that’s it. The pro plan is $12 per month and gives you unlimited access to the above, with limited tweet and engagement features and limited analytics. For unlimited access to it as a dashboard and analytics suite, you need the $50+ per month scaling plan based on your audience size and usage requirements. Tweepi is one of the older and larger of the Twitter management dashboards, though they only boast 1.5 million users. 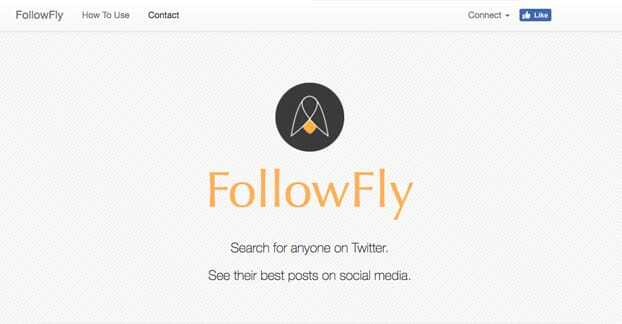 They have a search engine that suggests users to follow based on criteria like interest, company, location, and more. They have a fake follower or undesirable follower filter to help you remove bad followers, and can reciprocate on follows to get you more followers. The inactive follower purge is present, of course, as is the ability to force people to unfollow you. They have a very limited free plan, and the cheapest paid plan is Silver, at $13 per month. It’s limited to displaying 100 users at a time, gives you their premium tools, the ability to save filters, and the ability to force unfollows. The platinum plan is $25 per month and includes all of that with 200 users per page, a history of follows and unfollows, geolocation search, interest search, and more. It’s worth exploring a paid plan for the advanced ideas of who to follow, in my opinion. Probably the largest tool on the list, StatusBrew actually has two different tools; the Audience and the Publish tools. 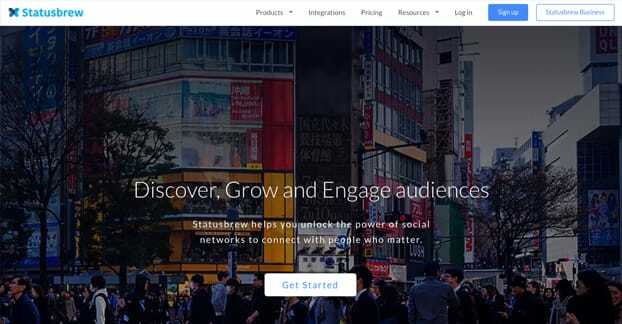 Audience is your standard follower management and analytics suite. You have discovery, social intelligence, filtered search, and a bunch of communications features and audience segmentation. The Publish tool has all of the editorial calendar, scheduling, measurement, channel sorting and engagement metrics you might expect from a dashboard platform. Given the high quality and feature-rich products on offer, I was surprised to see that they actually have a free version limited to one social profile per network, with plenty of access to most of their tools on a limited basis. Even then, the first paid plan is only $10 per month, and the higher end Business plan is $25 per month. It’s all really quite cheap for the sheer number of features on offer. In addition to Twitter, by the way, StatusBrew works with Instagram, Facebook, Google+, and LinkedIn. Hot on the heels of one of the largest and most complex tools on the list is this one, which is probably the smallest and simplest of the tools. It’s exceedingly simple; does person X follow person Y? Yes or no? It’s a simple way to check if given influencers follow other influential people, and to satisfy some curiosity. I’m going to be honest here; this tool is less like a tool and more like a gimmick. It gives you a good bit of trivia, but it’s not really useful in a business sense. There’s no scale, there’s no automation, and it doesn’t really provide information that’s worth knowing. You can use it to answer the question of whether or not some industry personage follows Donald Trump, but that’s more useful for trivia in a blog post than it is for Twitter growth. Besides, you can see which of your followers follow someone else just by visiting their page; it’s displayed on Twitter itself. 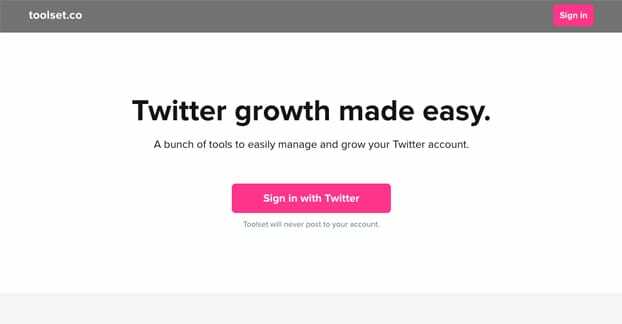 With a million users and boasting an average follower growth rate of 25%, Commun.it is a pretty strong contender for one of the best tools on the list. It works for Twitter and Facebook, with Instagram and Pinterest listed as coming soon. It has analytics to help you identify the most valuable followers in your network and how to engage with them. It has post scheduling and analytics. It has all sorts of tools for finding influencers and working with them to improve your growth, your audience, and your social position on Twitter. Unfortunately, they don’t have a free plan, only a two week free trial for their normal business plan. Currently – special pricing in effect – the Pro plan is $20 per month and gives you one Twitter profile, 3 days of reports, 100 engagements, and no team members. The special pricing is for the business plan, also currently $20 per month, that supports up to 8 accounts, 60 days of analytics, unlimited engagement, and team members. And, of course, if you want unlimited everything, 8 team members, and 24 social profiles, it’s $118 per month. 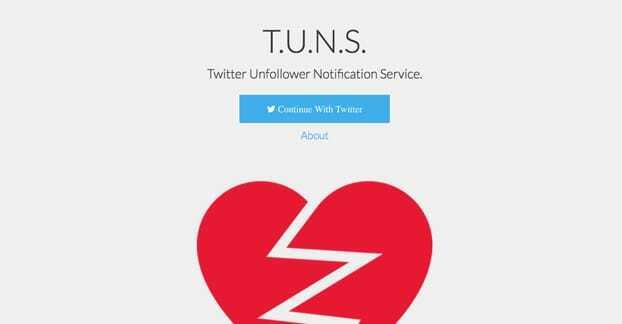 This is the Twitter Unfollow Notification Service, and what it does is very simple. It downloads a copy of your follower list and then periodically checks your current followers against the list. Each time this updates the list to make future checks accurate. When someone is on the old list and not on the new list, it can be assumed that they unfollowed you. T.U.N.S. then notifies you that someone unfollowed you, complete with a link to their profile and information about who they are. 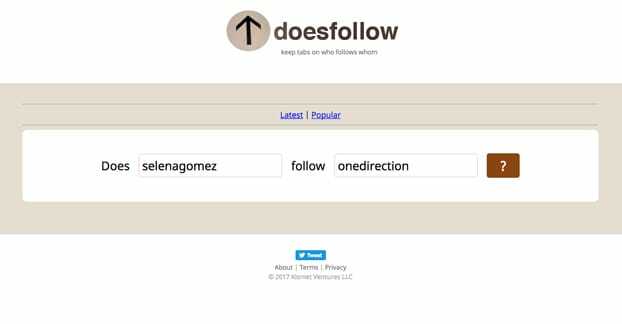 You can use this to see who is unfollowing you, and see if you’re the victim of any follow-unfollow scams. If someone follows you, you follow them back, and they unfollow you, you should probably unfollow them as well. They won’t like it, but it serves them right. As an added bonus, this particular app is completely free and open source. You can donate to the project if you wish, but you don’t have to pay a penny to use it. I was going to make a joke that no, I didn’t just slip Tinder onto the list for fun, but turns out this app is actually quite a bit like Tinder. It’s made as a bit of a tongue-in-cheek reference, but it works in a similar way, and it’s a big fun besides. 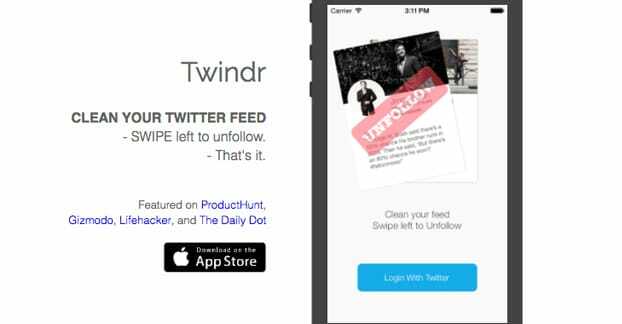 Twindr is an app on the iPhone app store – no Android version currently available – and it simply pulls your Twitter list of people you follow. It shows you their profile, much like you would see a profile on Tinder, and you can swipe either left or right. Swiping left unfollows them, and swiping right keeps following them. That’s it! There’s nothing more to it. There’s no analytics beyond your judgment, there’s no functionality beyond swiping, and there’s eno hookup aspect to it. It’s just a goofy way of going through your follow list and making decisions on the fly whether or not you want to keep following these people. Toolset is a Twitter, well, toolset. It has a number of functions relating to followers, all with limits to avoid API rate limitations. The free plan, for example, only allows 75 actions per day. What sort of actions? You can copy the followers of someone else, as well as the list of people they’re following. You can follow users based on keywords they use. You can see who has unfollowed you recently and unfollow them back. You can… well, that’s about it, actually. 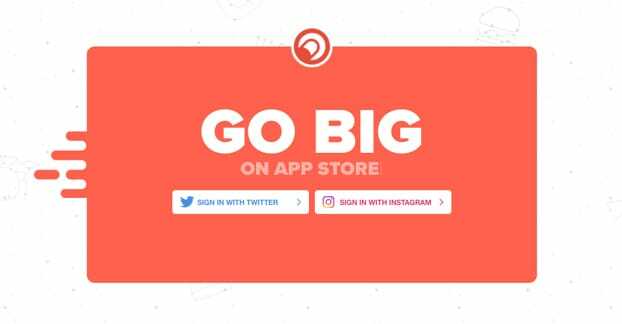 The app is pretty simple, and the paid version is only $5 per month, removes ads from the dashboard, and gives you unlimited actions. Simple and to the point, just what you need out of an app. While not strictly a Twitter app, this site starts off as a search engine that allows you to plug in a person based on their name or social media handle. It then scans Twitter, Facebook, Instagram, YouTube, SoundCloud, and Reddit looking for content posted by those users. It then sorts that content by engagement to show you the best content that user has posted across their social presence. How does this relate to you? With an account, you can connect your Twitter and Instagram profiles. You will then see posts filtered based on engagement from the audience that both of you share. You’ll be able to see sentiment in the crossover between audiences, and get a hint of what content is most engaging to the people who follow you. It’s all a lot of interesting competitive intelligence you won’t easily get elsewhere.